We love a party at Merivale. Enquire about a group booking and our team can help with everything from beverage tabs to food, or you can just reserve a space. Get 10% off Secure Parking when booking with Merivale. Located at 320 George Street, there are various Secure Parking stations close to the venue. The closest station is Wynyard Station, take the George Street exit, turn right and cross the street at the pedestrian lights. Palings Lane is between Bailey Nelson and Peter Alexander. At the end of the lane, turn to the left and then take the lift up to Level Four. 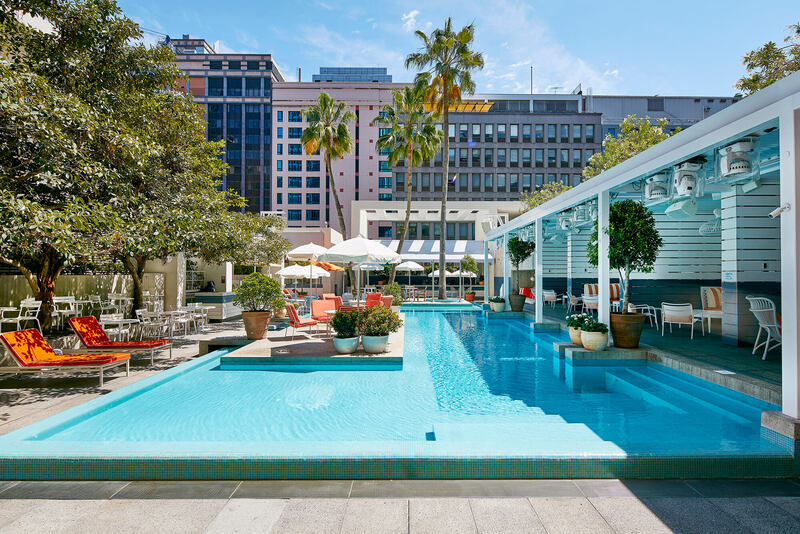 Pool Club is a 15min walk from Circular Quay wharf. View ferry timetables. To enter Pool Club, turn into Palings Lane which is between Bailey Nelson and Peter Alexander. At the end of the lane, turn to the left and then take the lift up to Level Four. A rooftop oasis inspired by the Italian coastline. 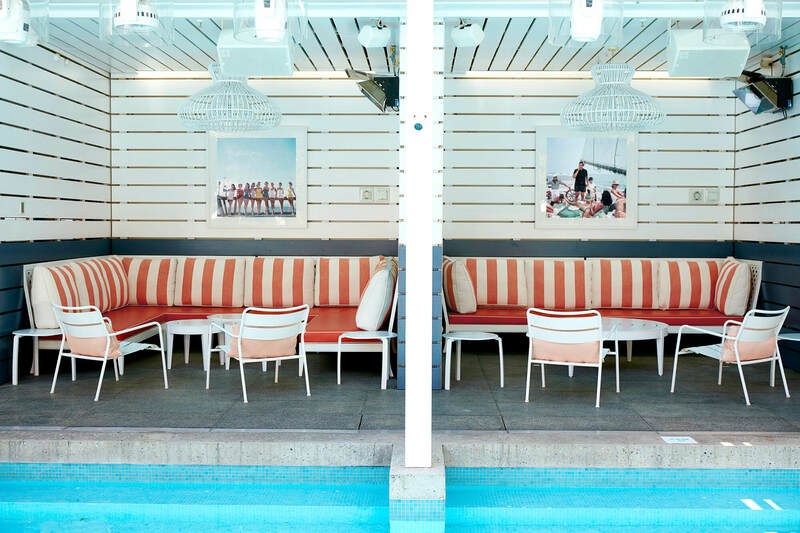 Pool Club is the place to meet, eat, drink and put your feet up. 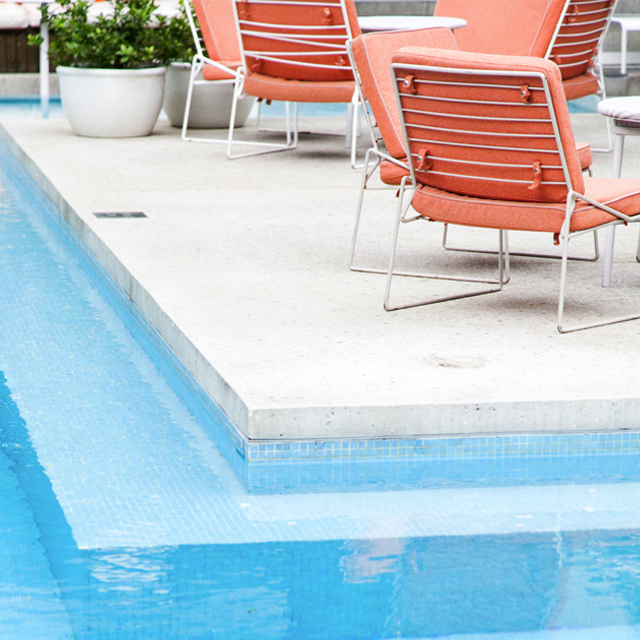 Pool Club is all the things you want it to be. A place to relax with a few cocktails; a place to have a pizza alfresco, and a place to party. Just choose the time of day to arrive to get the vibe you want. If you’re up for fun, weekends are the prime time with local and international DJs setting the tone. Hungry? Order from our delicious Italian menu. A pizza by maestro Vincenzo Biondini, with its blistering dough and tasty toppings, is always a good idea. 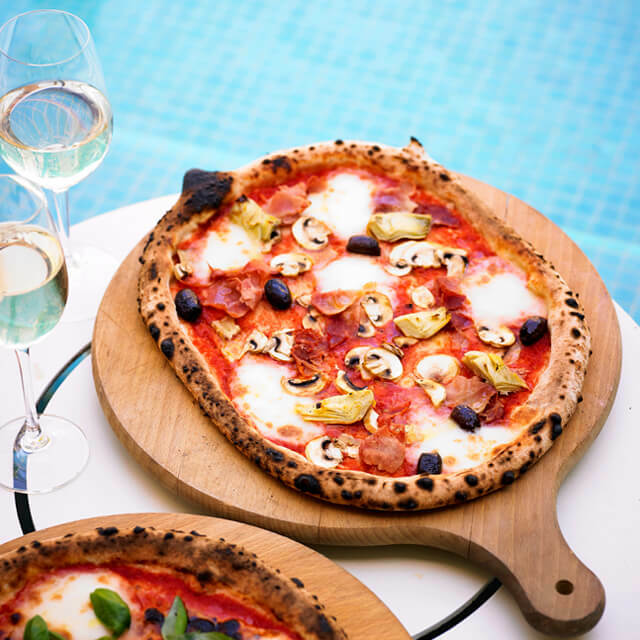 But for something lighter pool-side, try our wood-fired pane di casa. One thing you should know; it’s a crime to not sample our cocktails. 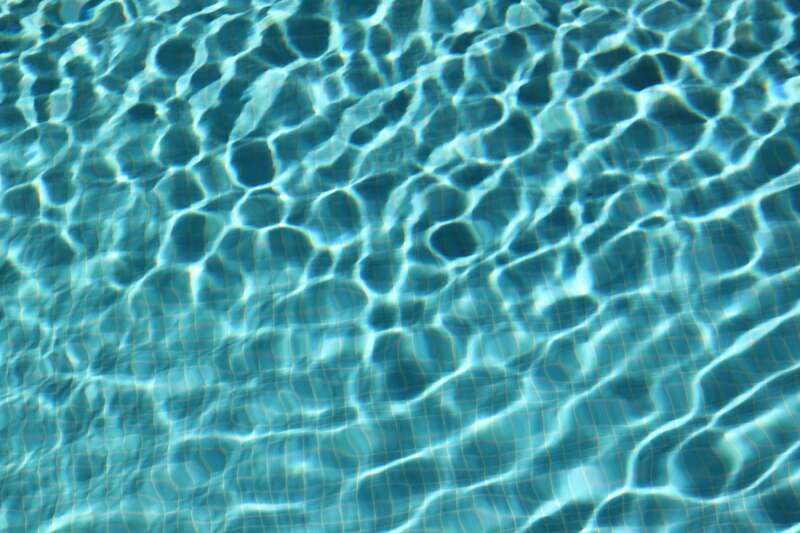 Make a selection, dip your feet in the pool and savour that moment. Go on, you know you want to. 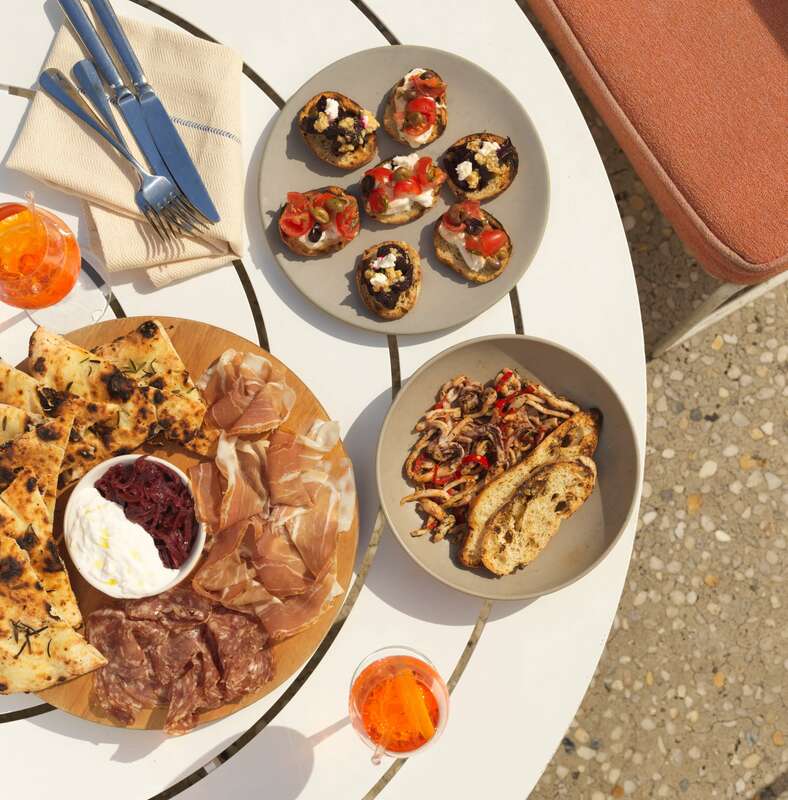 uccello is an open love letter to Italy, echoing its flavours, fresh produce and genuine love of cooking. Make yourself at home at this English-style pub and catch a game, play some pool or simply settle in for a drink or two. Dine on classic French fare at our homage to the quintessential brasserie. Ash St. Cellar has all the things you love about European dining; the food, wine, and the passing parade – without the long-haul flight. 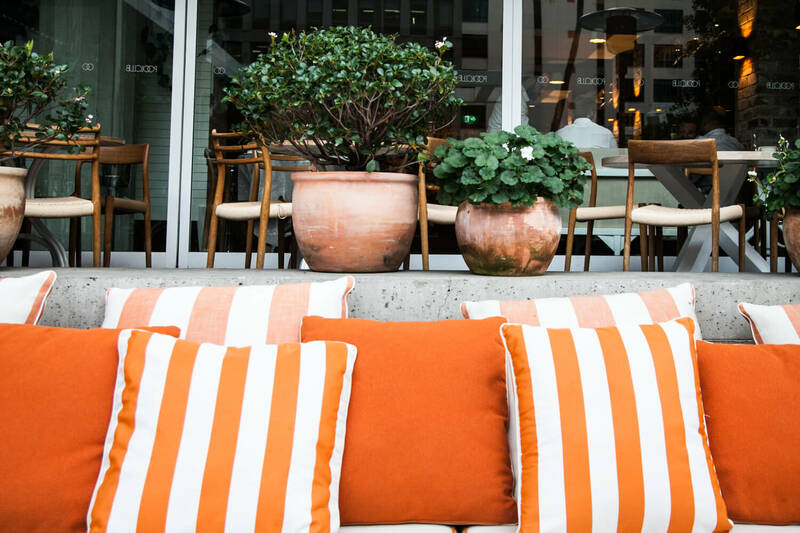 An airy eatery and bar in the heart of the city, perfect for a casual lunch or after-work drinks. There's nothing quite like ivy. Our ever-evolving inner-city hub sets the standard for a new hospitality genre, combining dining, entertainment and retail.